WASHINGTON – (RealEstateRama) — The National Housing Conference (NHC) supports Senate Banking Committee chairman Mike Crapo’s objectives to “establish stronger levels of taxpayer protection, preserve the 30-year fixed rate mortgage and promote access to affordable housing,” said David M. Dworkin, president and CEO of the National Housing Conference. 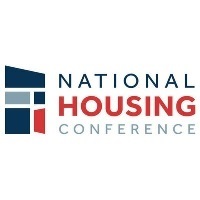 NHC believes reform of America’s mortgage finance system must include a limited, explicit and appropriately compensated government role that encourages private capital participation to ensure reliable access to long-term fixed-rate mortgages and financing for multifamily housing nationwide, including support for the production and preservation of affordable housing, a Duty to Serve requirement in the secondary mortgage market, and appropriate funding for the National Housing Trust Fund and the Capital Magnet Fund. Any reform must ensure access to affordable and sustainable mortgage credit to broadly serve homeownership-ready borrowers through a variety of public and private channels, including addressing the homeownership gap for communities of color and the impact of student loan debt on homeownership. We also believe that housing finance reform should sustain, strengthen and modernize FHA’s capacity and flexibility to meet the nation’s housing financing needs while protecting the taxpayer’s investment.